Over the course of the past year, I’ve had the opportunity to test out a variety of different products aimed at helping us chronic pain patients find some pain relief. 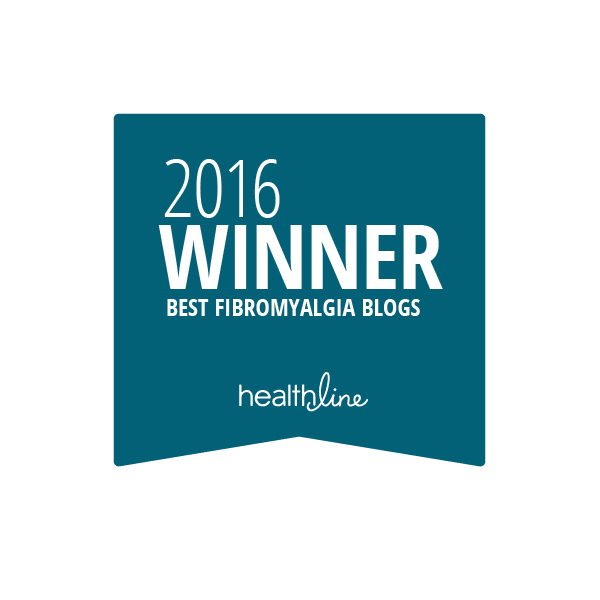 I’ve tried lotions and ointments that focus on easing the physical symptoms. I’ve tested products designed to soothe the emotional aspects of living with daily pain, like teas and aromatherapy diffusers. I’ve read books whose goal is to help patients be as educated and empowered as possible as they advocate for their own best healthcare. And I’m grateful for the ways that each product complements and amps up all the tools I currently have in my pain relief kit. I’ve undergone a number of semi-invasive procedures like epidurals and nerve ablations (nerve burns) that work on pain at the level of the spinal cord. They work for a few months, but they are expensive, temporary, and pretty hard on your system. I’ve also been prescribed medications that attempt to interfere with your brain’s ability to sense pain. But their results vary, and they come with a number of unpleasant side effects. Quell is completely different. Of course, as with everything I review here, I add the caveat that it is not a magic bullet, I still have pain even when I use it, and everyone’s results will vary. But my Quell unit has provided me with a level of pain relief I’ve not found anywhere else. I received my unit back in September, when we were packing up 22 years of living in Georgia to move back to North Carolina, and I pretty much gave it an introductory baptism by fire. Because despite 4 years of not driving long distances on the highway, this time I had no choice; we had to get both cars to NC, so I had to drive one of them. This meant I couldn’t take any pain medicine until late in the day when we’d gotten to whatever hotel we were staying at that night. And of course my pain was fairly jacked up thanks to all the physical labor and emotional stress caused by the move. So I put on my Quell that first morning and drove for about 4 hours. And when I got to the hotel I was so surprised; I still had pain, of course, but nowhere near the fiery, debilitating level of pain I was expecting given my current life circumstances. I was kind of stunned. It would be nice if I could give you some hard and fast numbers, I know, a consistent, specific percentage of the decrease in my experience of pain. But because my amount of pain is fluid from one moment to the next, and my perception of my pain is personal and subjective, I can’t do that. But I can tell you that I almost always have a noticeable decrease in pain when I wear it, unless I’m having one of those flare-ups where nothing helps. But what I can do is tell you that if you have the opportunity to test a Quell device, you definitely should. Visit their website for more detailed product information. Me: Oh good, it sounds like he really knows what he’s talking about. Me: Huh, his voice really carries, doesn’t it? I need to remember that when he and I are talking. Me: Extremely Important Mental Note: In order to avoid similar horrification in the future, I will now be requiring all my physicians to communicate their diagnostic questions solely through the art of expressive dance. Our Niece: Are we building something AWESOME? Uncle Mr. CFG: We’re building something symmetrical. For the past few months I have had the opportunity to try out one of the Essential Oil Diffusers created by Organic Aromas. They offer a wide range of beautifully crafted products to choose from, and I am using the “Raindrop” version of the diffuser. The first thing I love about my diffuser is just the way it looks. 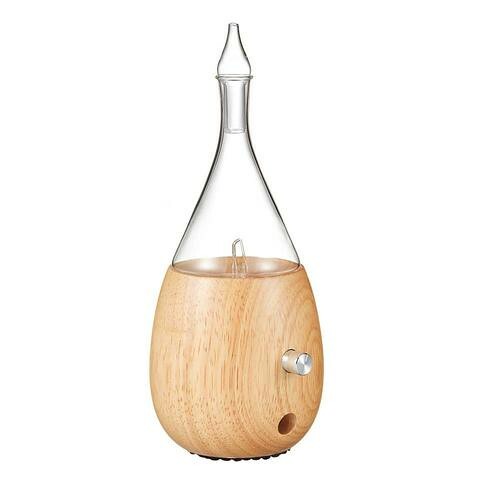 It has a beautiful, handcrafted wooden base that is smooth, easy to handle, and feels really good in your hand, and a custom-blown glass reservoir that holds the essential oil. And being the child of the ’70s, lava-lamp-fan that I am, I love the little LED light at the intersection of the base and the reservoir because it changes colors as the oil is drawn up and out into the atmosphere. So it’s pleasing to both your eyes and your sense of touch. I also appreciate the fact that it is a self-contained system, and sturdily built. All the different pieces fit together snugly, and the shape and size of the wooden base make it very stable. I don’t have to keep an eye on it all the time when I’m using it, and I feel safe if I have to leave it unattended in my office for a minute or two and attend to something in another part of the house. The main attraction of the diffuser is the way in which it functions, the process by which it emits the essential oils into the atmosphere around it. It does not use heat in its process, nor does it use water. It’s worlds away from the only other type of diffuser I’ve used, which is a candle diffuser. I was always afraid that the candle would fall out of the bottom, or that the glass tray would fall off of the base. Plus, I could never get the right ratio of water to essential oil, so I either ended up with no aroma at all, or way too much aroma. the movement of air through a small opening creates a difference in pressure. This pressure difference causes a vacuum to pull a stream of the oil into the airflow and then out into the room. I have to say that my favorite thing about my Raindrop diffuser is what they refer to as “the volume knob”. You can turn it almost 360 degrees, which means that, one, you have a large range of options for the amount of fragrance you want around you, and two, you can fine-tune your “scent preference” to a pretty high degree. As Mr. CFG would say, the amount of oil diffused is proportional to the speed of the air, so turning up the airflow turns up the aroma. So far, I’ve only experimented with the complimentary oil included with my diffuser, but I’m looking forward to trying out a lot more of my favorite scents. If you’re like me, you’ve read a lot of different things over the course of your illness: leaflets and patient handouts from your doctor(s); websites and online articles; and of course, books. 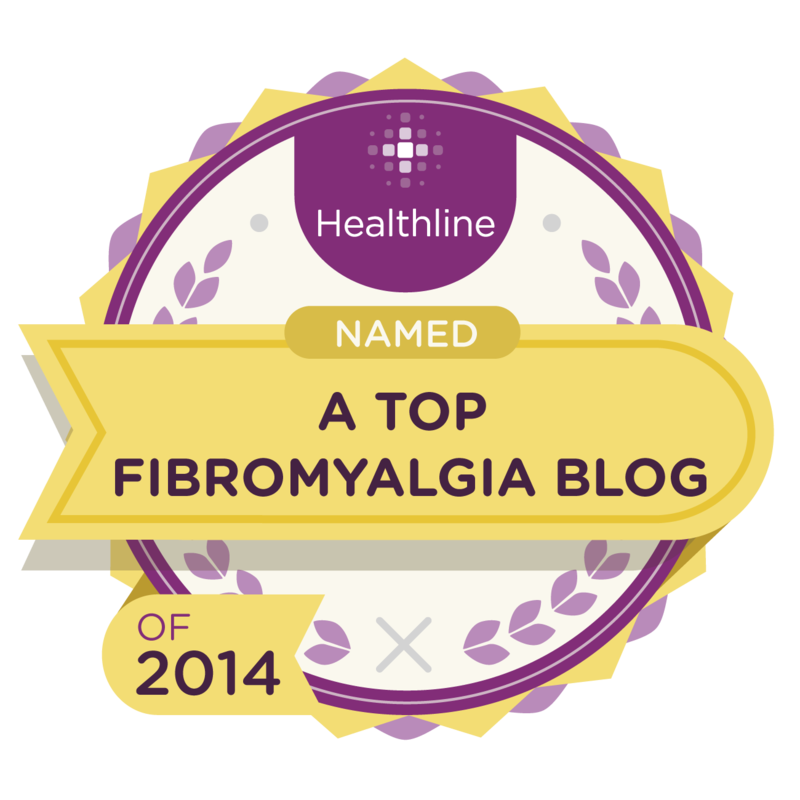 These days we have unprecedented access to pretty much all the information we could ever hope to find, and that’s wonderful in so many ways, especially for people like me who are frequently stuck at home due to chronic pain and illness. But the downside to living in The Information Age is that it doesn’t take much to drown in The Information Sea. The Patient’s Playbook, by Leslie Michelson, offers a knowledgeable, reassuring guide to help patients and their caregivers navigate the frequently overwhelming waters of our health care system. The book is divided into three main sections. The first section lays out the steps a person can take to become more proactive about their own healthcare right now, before any serious health crisis occurs. 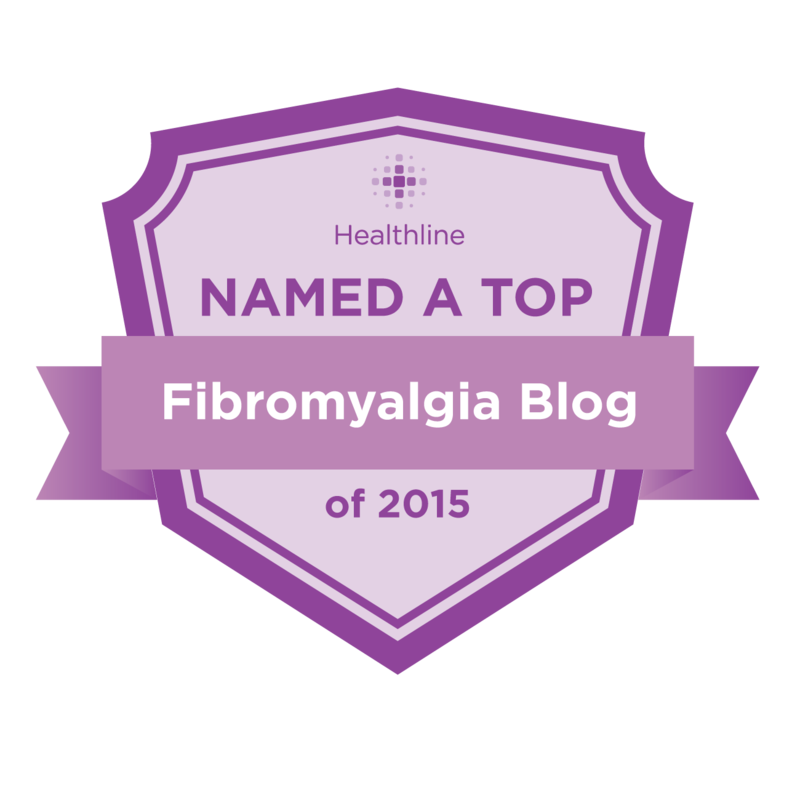 The remaining two sections describe the steps to take and the resources to explore when you’ve facing a serious illness and need to find the best specialists and treatments for your situation. This book found its way to me at a very opportune time, as my husband and I have just moved to a new state and I need to find a brand new medical support team. With a few exceptions I’ve always been fortunate to have had good medical care in the past, but I did find my doctors in a very haphazard way, just adding a new doctor to the mix every time another health crisis popped up. I never had any one physician coordinating my care. But now I have an opportunity to start fresh when it comes to my healthcare, and I’m hoping that I can use the tools described in The Patient’s Playbook to help me learn how to become more skilled in putting together my medical team. I will confess that I did feel overloaded at times while reading this book. There is just SO much information in it that at times it triggered the same kind of overwhelm it hopes to prevent. If you’re in a position to be reading this while you’re at your-version-of-healthy, I definitely recommend consuming the information in small doses. I’m currently working on one-third of Step Three: obtaining copies of all my medical records. But little steps make a difference; before reading this book, not only did it never occur to me that I could request copies of my records for myself, it never occurred to me that I should. Now I know differently. Another things that bugged me about the book was the kind of stories the author told to illustrate his points. It’s not surprising that he includes many stories about people who suffered through years of bad care and misdiagnoses before finally turning to the strategies laid out in the book, which led the patient to the perfect doctor, who found the perfect clue/piece of information, which led to the perfect treatment, that led to a major recovery, if not total cure. I don’t doubt any of the stories, and they’re certainly dramatic. But there aren’t any stories about patients like me, who do everything we humanly can to manage our conditions but never find a magic cure. I had to catch myself a lot while I was reading the book because I’d frequently start mentally and emotionally flogging myself or telling myself I was a failure because I haven’t yet figured out how not to be sick. Or I’d start blaming myself for my illness. All in all, there are many helpful things I’m taking away from the book. Like learning how to treat myself as someone who deserves really good medical care. And getting better at advocating for myself. But I’m also following the “take what works, leave the rest” rule; there are things I know I’m never going to do, like spending enormous amounts of time reading medical journals for the latest papers published on my illness. Not gonna happen. I can definitely recommend The Patient’s Playbook as a helpful resource to add to your toolkit. It’s been a long time since I read a book that offered any new information that I haven’t already read a million times before. But it’s not a magic bullet. As we chronic illness patients know all too well, sometimes you do everything you humanly can, and the best outcome you get is just being able to maintain the status quo. But sometimes, if we’re lucky, that can be enough. If you’d like to check out The Patient’s Playbook, it releases in paperback today, and can be found here on Amazon. Visit The Patient’s Playbook website for additional resources and information. Visit Leslie Michelson’s Facebook author page here.